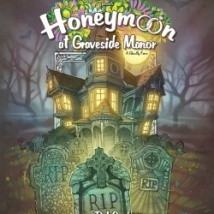 A comedy by Pat Cook and directed by Elise Port Suitable for ages 8 and up, “Honeymoon at Graveside Manor” is a comedy about a new home in an abandoned mortuary. Marian’s home may or may not be haunted by a knife-wielding specter, her husband may or may not be on the trail of a demented lunatic, and her maid may or may not be stuck in the wall. This comedy conveys the sometimes overwhelming challenges of young marriage with outlandish, deliberate excess, providing quintessential farcical entertainment.